1. Please arrive 10 mins before your session to sign the registration form. You will be given instructions and a quick tour. 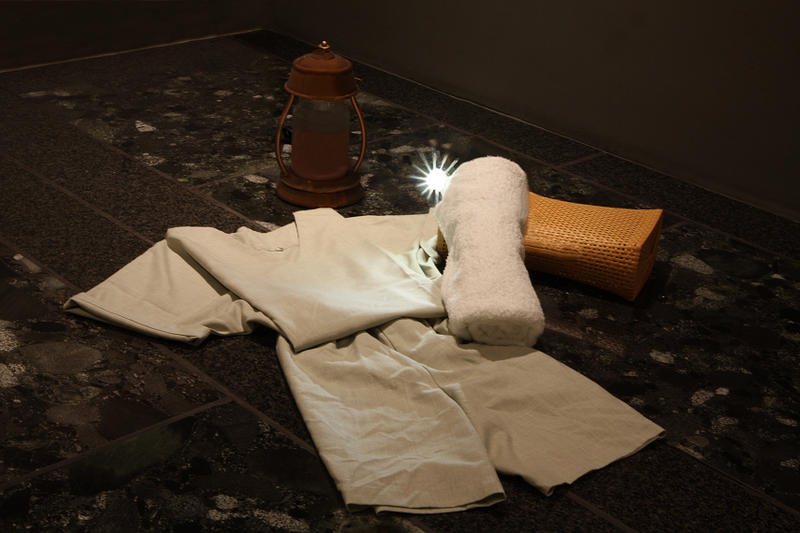 Also provided are the locker key, Ganbanyoku outfits, a face towel, and a large towel to lay on the stone bed. 2. Once changed into the outfit provided, proceed to the heating room. To begin the session, place the large towel on the bed, then lie down on top of it. It is recommended to start with stomach on the bed for 5-10 mins. This way body warms up quicker by increasing the organ activities. It boosts the metabolism and helps to generate more heat within the body. 3. Please use the bamboo pillow provided to avoid direct contact of your face and head with the heated bed. 4. Try getting into your most comfortable position during the relaxing 60-minute session. 5. Pat dry the sweat using face towel for a silky skin, get changed and return the locker key at the front desk. Typically, the outfit is to wear on the naked body, if you feel uncomfortable please feel free to bring extra under wear or swimsuit to wear underneath.